What About the FREE Credit Card Machine Deal? No longer are the days when credit card terminals cost a lot to purchase or lease. Many seemingly legitimate merchant service processors hawk free credit card machines. The Internet is thoroughly spammed with FREE CREDIT CARD PROCESSING TERMINAL come-ons. Are free credit card machine offers legit and worth it? Often they are NOT. Many unsuspecting merchants are falling prey to ‘aggressive’ merchant service agents. There is no such thing as a free lunch, or a free $500 wireless credit card machine, it would appear. So what’s the catch with the free credit card machine offers? Simple – no merchant account, no free credit card machine. 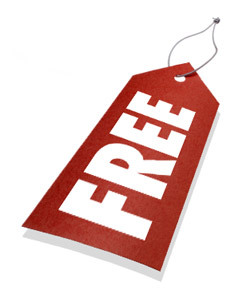 But even more germane, it’s “free,” but you don’t own it, and it actually costs you more. Sounds like a riddle, yes? If you partake of the worst of these offers, and then subsequently stop processing cards, or you want to switch merchant account providers, you will have to return the terminal before the provider will close your merchant account. If you don’t return the terminal the merchant account will remain open and monthly fees will continue to be charged -and/or- significant termination fees will be incurred. If the machine isn’t mine, who pays to fix it if it breaks? 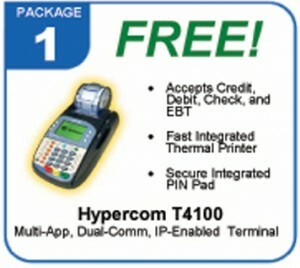 Be sure to read the fine print in any free credit card machine offer before signing any agreements. If the machine is free, does that mean supplies are too? So how and why do they do it? Understand the “how” and the “why” will be obvious. They do it by only disclosing a portion of the fees and commitments applicable to the credit card processing account. The novice eye will see a low up-front set-up fee, a seemingly competitive qualified discount rate and transaction fee, and a fairly average monthly service fee. What is missed, or otherwise not understood clearly, is the longer term commitment and early termination fees, higher monthly minimum requirements, higher mid qualified and non qualified fees, and even additional wireless transaction fees when applicable. The truth is that a credit card processing account with this type of set-up will generate up to several times the profit of a standard account. The merchant will actually pay for the terminal several times over yet never own the machine, and likely be stuck with termination fees when he or she wises up and attempts to move to a better processor. So, now that we’ve pulled away the veil and explained it to you, if you still insist on getting a free credit card processing terminal or supplies, we would love to talk to you, if only to attempt to talk you out of it.